Europe is taking its chance to make sure China knows its arms are wide open for any investment it can get. President Xi Jinping is visiting the continent - and Paris and Berlin have laid out the red carpet. And the issue of human rights, so often a key part of talks between the EU and China, is strangely absent this time around. On Thursday, the EU trade chief agreed to drop a probe into under-priced Telecom equipment, imported from China. Karel De Gucht says that's because Europe needs to do much more to attract Chinese investment. There was some hushed criticism on China's rights record, with Human Rights Watch describing the conditions most Chinese people live in as "appalling". But investor and financial commentator Jim Rogers says Europe knows it has to be nice. SPIEGEL ONLINE – WIRTSCHAFT: Es ist eine ökonomisch gefährliche Entwicklung: In Spanien fallen erstmals seit 2009 die Preise. Was für Verbraucher angenehm klingt, ist fatal für die Wirtschaft. Muss die Europäische Zentralbank eingreifen? SPIEGEL ONLINE – WIRTSCHAFT: Das Kapital flüchtet, der Rubel bricht ein und es droht eine Rezession: Russlands Wirtschaft driftet allmählich Richtung Abgrund. Doch die Probleme sind nur zu einem kleinen Teil Folge der Krim-Krise. Viel schwerer wiegt, dass der Kreml seinen Modernisierungskurs aufgegeben hat. mmerhin, für Siemens scheint die russische Welt noch in Ordnung zu sein. Konzern-Chef Joe Kaeser ist nach Moskau gereist, er hat Wladimir Putin getroffen. Der Präsident empfing ihn in Nowo-Ogarjowo, seiner Residenz vor den Toren von Moskau. Kaeser sprach von der "169-jährigen Tradition", die das Unternehmen mit Russland verbinde. 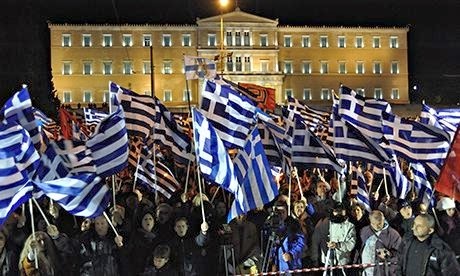 Greece's political scene has become increasingly toxic. Far from being over Europe's economic crisis is getting worse with disturbing levels of poverty and deprivation being noted among children and youth, says a report compiled by the Catholic charity Caritas. The survey, conducted over the course of the past year, not only challenges the official discourse – that Europe is on the mend – but documents a dramatic poor in the seven EU countries worst hit by the policies of austerity. If the West Wants to Hurt Putin, Could Saudi Arabia Do Its Dirty Work? BBC: Russia, already teetering on the edge of recession, has a lot to lose from any economic sanctions imposed by Europe and the US - as does Europe, experts say. The tense stand-off between Russia and the West over Crimea and Ukraine has led to sanctions being imposed on members of the Russian elite by the EU and the US. 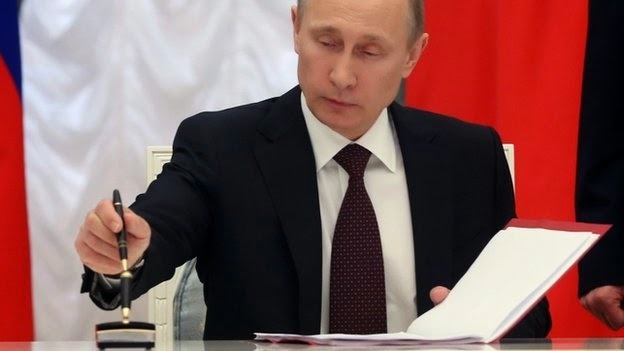 US president Barack Obama has signed an order enabling economic sanctions against sectors of the Russian economy, and EU leaders are meeting in Brussels to consider their options. "Russia can lose immensely out of this," says Paul Ivan, an analyst at Brussels-based think tank the European Policy Centre. "They are much more dependent on the European economy than we are on them." Over half of Russia's budget comes from gas and oil it sends to the EU, making it vulnerable to any economic sanctions involving fossil fuel exports, Mr Ivan says. By contrast, around 25% of European Union gas comes from Russia. BT: Details have emerged of the lucky ticket-holder who scooped a massive £107.9 million on the EuroMillions draw as he prepares to reveal his identity. Details have emerged of the lucky ticket-holder who scooped a massive £107.9 million on the EuroMillions draw as he prepares to reveal his identity. The car mechanic and racing driver from Coulsdon, in Surrey, will discuss his plans for the future when he speaks at an event tomorrow, Camelot said. BBC: A UK ticket-holder has come forward to claim the £107.9m Euromillions jackpot - the UK's fourth biggest win in National Lottery history. The winning numbers in Friday evening's draw were 6, 24, 25, 27 and 30, with the lucky star numbers 5 and 9. Lottery operator Camelot confirmed it has had a claim staked for the jackpot prize, though no further details about the winner or winners were released. Subject to validation, the prize could be paid out when banks open on Monday. The ticket-holder can then decide whether or not to go public and share the news. 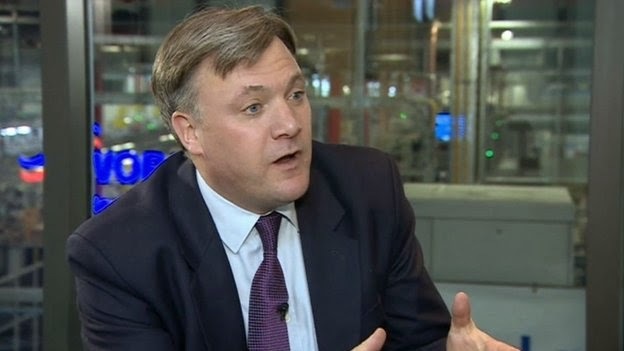 BBC: Ed Balls has told me that he is "daunted" at the prospect of becoming Chancellor of the Exchequer, given the scale of cuts a future Labour government may have to make. I put it to the shadow chancellor that he would have to make spending cuts deeper than those made by any government since the war (other, that is, than the coalition itself) - deeper than those made by Labour Chancellor Denis Healey in the 1970s and Margaret Thatcher's Tory government in the 1980s. The Institute for Fiscal Studies estimates that Labour's plans would imply about £18bn cuts to departmental budgets, since spending on pensions, welfare and debt interest is rising at the moment. The governor of the Bank of England talks to Jeremy Paxman about his plans for interests rates, and what's next for forward guidance. They also discuss Ed Miliband's banking strategy and Bitcoin. Simon Rose of Save Our Savers, interviewed on Sky News after the Bank of England's MPC announced the 60th month of base rate at 0.5%. Soaking the Rich: Are the Wealthy Fleeing New York City? SPIEGEL ONLINE: Die Krim-Krise belastet die wirtschaftliche Zusammenarbeit zwischen Russland und Deutschland. Die Länder sind so eng miteinander verflochten, dass Sanktionen und mögliche Gegensanktionen ernsthafte Folgen hätten. Hamburg - Der Warenstrom zwischen Deutschland und Russland ist fast ausgeglichen: Öl und Gas fließen aus Sibirien nach Deutschland, deutsche Unternehmen liefern vor allem Autos, Maschinen und chemische Erzeugnisse in die russische Föderation. Die wechselseitigen Verbindungen zwischen der Wirtschaft beider Länder haben sich in den vergangenen Jahren verstärkt - zu Wohl und derzeit Wehe der Unternehmen. Rainer Lindner, Geschäftsführer beim Ost-Ausschuss der deutschen Wirtschaft zeigt sich deshalb äußerst besorgt über die Zuspitzung der Lage auf der Krim: "Wir erleben große Turbulenzen an den Märkten, die russische Wirtschaft ist bereits stark betroffen, genauso die börsennotierten deutschen Unternehmen, die auf dem russischen Markt tätig sind; darunter Metro , Volkswagen , BMW oder Daimler ". Deutschland habe deutlich engere Verbindungen zu Russland als andere europäische Länder, mit 6000 deutschstämmigen Betrieben seien mehr Firmen in Russland tätig als aus allen anderen EU-Staaten zusammen. Lindner zufolge hängen 300.000 deutsche Arbeitsplätze am Russland-Geschäft. 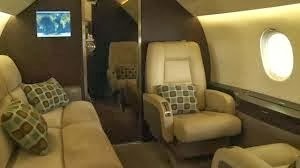 BBC: Nigerians have spent $6.5bn on private jets, making it the largest market in Africa for luxury aircraft and one of the fastest growing in the world. More than 100 private planes are said to operating in there - many of them owned by the country's growing number of rich businessmen and women.